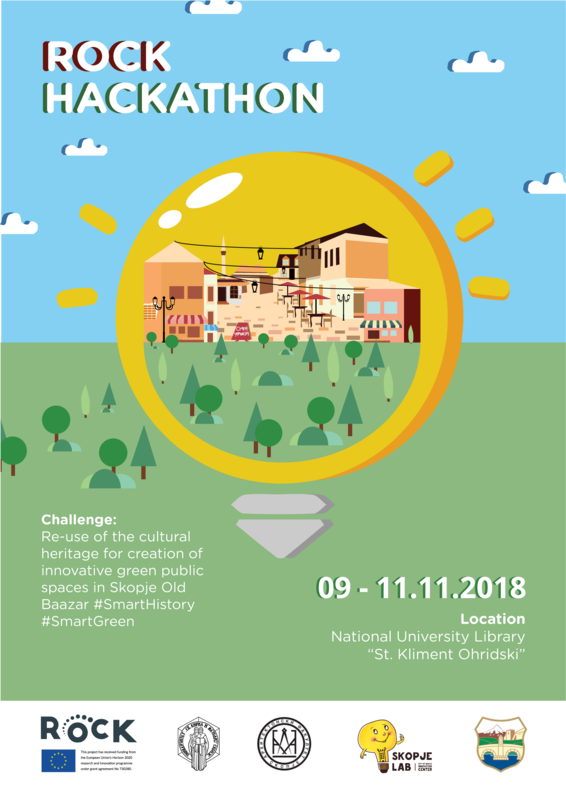 Do you have an idea how to make Skopje Old Bazar more sustainable, resilient and collaborative space? Skopje ROCK Hackathon 2018 is your chance to make a change for you and your city! 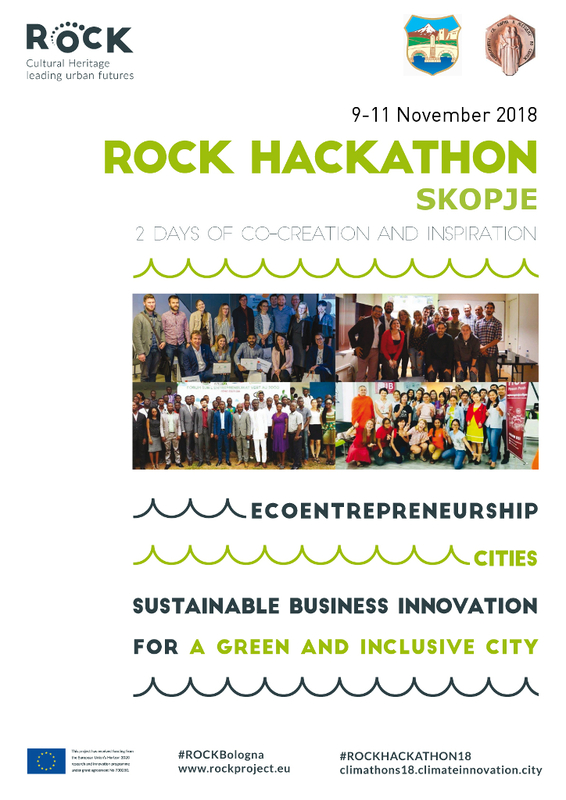 Apply and be part of the 2 day co-creation marathon Skopje ROCK Hackathon 2018! 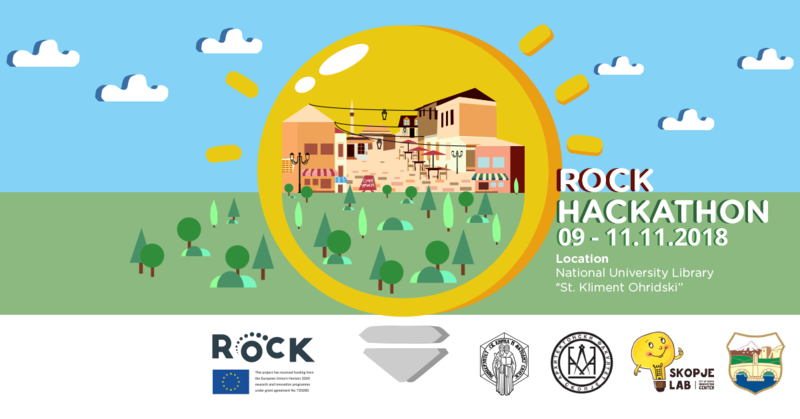 What’s Skopje ROCK Hackathon 2018? The City of Skopje, together with the University Ss. Cyril and Methodius -Faculty of Architecture Skopje and the City of Skopje Innovation Center - SkopjeLab, in partnership with Ecopreneurs for the Climate (ECO4CLIM), are co-organizing the Skopje ROCK Hackathon 2018, to be held on November 09-11 in Skopje (Macedonia). It is a 2-day co-creation marathon addressed at university students, young professionals and entrepreneurs, and aimed at boosting eco-entrepreneurship, sustainable business innovation, and collaborative networks, all key levers for effective and inclusive solutions to the city’s environmental challenges, including climate change. The hackathon is part of the ROCK project, a Horizon 2020 funded project, and also of the Young Ecopreneurs Climathons 2018 initiative (#YoungEcoClimathons18), encompassing green hackathons in many cities around the world, happening throughout the spring and autumn, and concluding at the 2018 UN Climate Change Conference (COP24) in Katowice (Poland) on December 3-14. The Hackathon will last 2.5 days, structured around 4 working sessions, with international facilitators and professional mentors guiding the methodological work aided by the "Green Business Canvas" tool. After the hackathon, the winning project will be developed and honed through an incubation program, managed by the co-organizers, under the (online) supervision of Ecopreneurs for the Climate. On top of it all, after incubation, the winning team will be offered the chance to present their projects in at one international event in the scope of the ROCK Project in 2019 and at various national related forums. Teams are welcome to register, but each member should sign up individually and then all will be grouped together at the beginning of the activity. The European Commission, through the Horizon 2020 Programme.